organ Lee is now 89 years old. But six decades ago, when he was serving as a tech sergeant in the United States Air Force, longevity looked impossible. Lee was in that hospital for six months before being transferred to the medical center at Keesler Air Force Base near Biloxi, Mississippi. This was just one of many signs and wonders the Lord has performed for Lee through the years. The Poplarville, Mississippi, resident recalled another potential life-threatening situation he faced in the Air Force. Lee’s calmness paid off—the bomb was disarmed and disposed of safely. Dealing with an explosive environment was nothing new for Morgan, for his childhood was volatile. He was born as the third son of a family who three months earlier had lost its firstborn. “My father never got over my oldest brother dying,” Morgan said. “My father hated me. He never had any use for me. He told me to be quiet all day long or I would get a beating, and then would try to do things to get me to make a sound. He would beat me so hard and for so long that he would be out of breath when he was done. A month after that, all the x-rays came back that I was completely cancer-free. I told them I had a higher Doctor. Lee had to quit school when he was 12 to support the family when his father nearly died in an auto accident. He returned to school for one more year thereafter, only completing a sixth-grade education. Lee had various jobs, including working a lumber mill in Terry, Mississippi, where he had another near-death experience. Lee fell inside the mill’s machinery, which caused debris to fall on him. He was removed by two African-American men. “I was paralyzed for several hours. My father did not even check on me. He was a millwright, and a good one. He did not think I was really hurt. Two black men dragged me out to a shady area. They were very concerned about me. Lee served in combat during the Vietnam War and was a part of fierce fighting in Southeast Asia. However, he does not remember specifically where he fought. He said he has memory gaps from that period of his life. Today, he still suffers from nightmares of war. 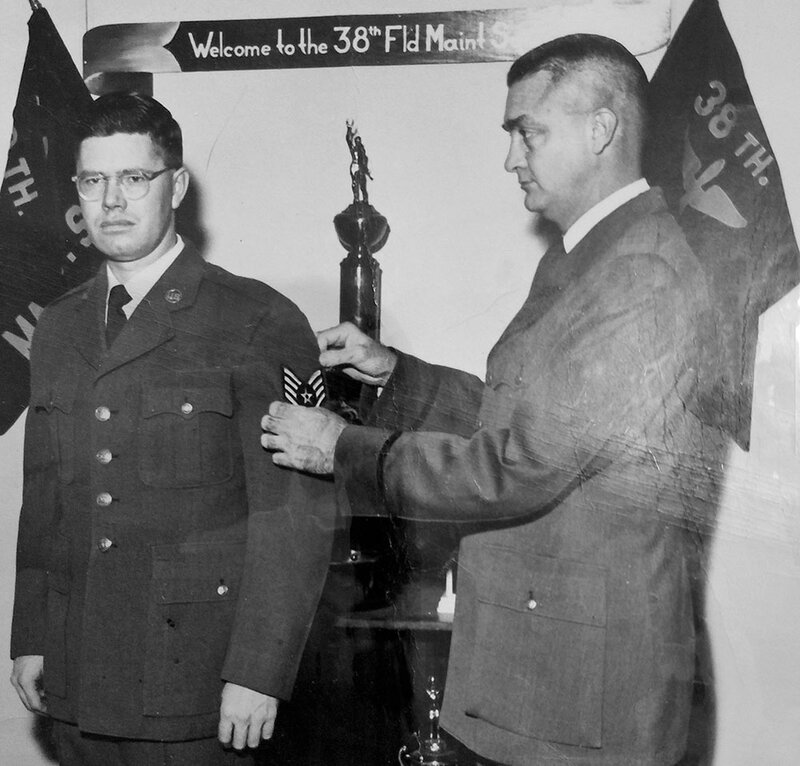 He retired in 1974 with the rank of master sergeant. Through it all, Morgan Lee has continued to profess his faith and study the Bible. He became a member of the Mitchell Chapel Church of God in 1978, and has attended the church ever since. His mother was a Spirit-filled Church of God member. “I spent 23 and a half years in the Air Force and retired,” he said. “I was a manager of a ranch for two years after that, and a machinist at a local company before they went out of business. Even though he did not finish school, Lee scored high on military tests. He eventually earned a high school GED and many college certificates. He had the opportunity to enter officer-training school, but turned it down. As his pastor, I reminded him of Revelation 12:11: “They have conquered him [Satan] by the blood of the Lamb and by the word of their testimony” (ESV).